Russ Baker looks into the telltale heart of George H.W. 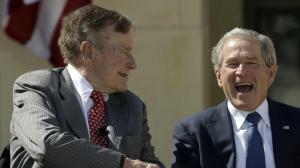 Bush and the real (and tragically under-investigated) legacy of the Bush family. As a young naval intelligence officer, George H.W. Bush got a verbal thrashing for failing to be discreet. He sure learned that lesson, and became a man who did one thing in public and another in private. Thanks to that — and to an incurious and superficial media — there’s a whole lot of shocking stuff out there you probably never knew. WhoWhatWhy has found evidence linking the Saudi royal family to Saudis in South Florida who reportedly had direct contact with the 9/11 hijackers before fleeing the United States just prior to the attacks. WhoWhatWhy Editor-in-Chief Russ Baker weighs in on an early salvo in the Jeb Bush 2016 campaign, fired off in disguise as journalism. See why the big media appears to think we’re all dunces. George W. Bush is out with yet another book—this time his “biography” of his father, George H.W. Bush. What’s going on with this strange phenomenon where 43 narrates 41’s life for us? And could it possibly have something to do with rehabilitating the family surname to help ensure a possible third President Bush? 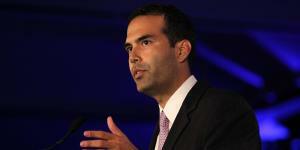 With a third George Bush winning elected office— George P. Bush is now the Texas land commissioner—what are the next electoral conquests the Bush family is planning? Russ Baker explains the secret recipe behind the Bush dynasty’s enduring power during an interview with RT. George H.W. Bush has made jumping out of aircraft to celebrate his birthdays a habit, a nod to his image as a WW II naval aviator and hero. Here’s a look at the fog surrounding his first jump, made 70 years ago after Japanese fire struck his aircraft over the Pacific. When a man like Louis Freeh has a car crash, it may be a plain old accident. And then again, it may not be. When authors like these gather for lunch, you can be sure deep politics is on the menu. Russ Baker and comedian David Feldman have a pretty serious conversation about pretty serious stuff. Russ Baker interviewed by Jay Taylor on our hidden history—the big picture you are not getting in the convention coverage. Find out why neither the Democrats nor Republicans will diverge very much from policies that benefit the few. 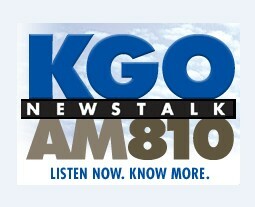 Russ Baker and KGO AM talk radio host Pat Thurston cover the waterfront – March 24, 2012, Click “Read More” to listen. Politicians certainly get religion when they have an eye on the White House. Even the no-nonsense Ron Paul knows he has to play the game to have a chance. The web is buzzing about that clever Errol Morris anti-conspiracy video on the NY Times’s website. WhoWhatWhy interviewed the expert featured in the video about the strange JFK assassination figure “Umbrella Man,” and found a big problem with the central assertion. In fact, our research casts doubts not only on the most recent JFK propaganda, but on the New York Times itself. Here’s your chance to give us feedback about WhoWhatWhy. Will you answer just 12 questions? 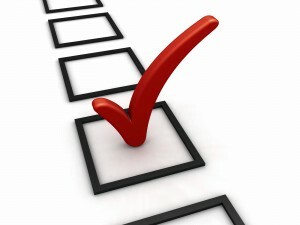 This will help us better deliver what you want from the site. In appreciation, we’ll enter you in a raffle to meet WhoWhatWhy founder and editor Russ Baker, and get an inscribed copy of his book, Family of Secrets.